After an unceremonious parting of company with Milwaukee Yamaha last night, Michael Dunlop and Buildbase BMW have just confirmed their partnership for the superbike and senior races. 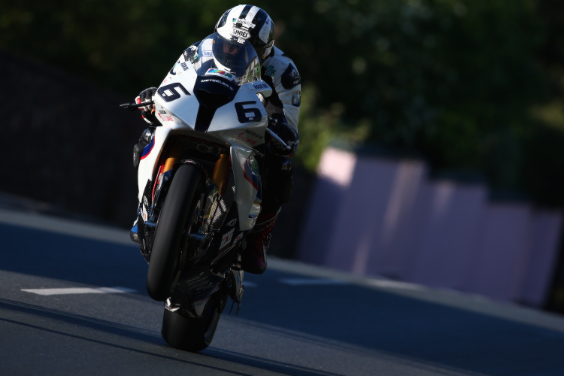 Michael Dunlop will ride a Hawk Racing-prepared Buildbase BMW S 1000 RR in this year’s Isle of Man TT races. The Ballymoney man will return to the mountain course aboard the machine that saw him dominate the 2014 TT, with victories in the Superbike, Superstock and Senior TT races. Dunlop will ride a Buildbase-backed S 1000 RR in the Superbike and Senior classes and his own, MD Racing S 1000 RR in the Superstock class with support from the Buildbase team. The RST Superbike race kicks off on Saturday 6th June, followed by the Royal London Superstock race on Wednesday 10th June and the Pokerstars Senior TT on Friday 12th June.